I bumped into someone from my old team the other day. With her was my replacement who had begun the role a month ago. I am not rude and didn’t want to blank her, so I began talking to her so that she wasn’t just sat back observing our conversation. I introduced myself and asked how she was finding the job. Her response surprised me. As I knew the nature of the job, I did expect someone to think that, but not necessarily out loud, especially to a total stranger. Usually there is a process with new starters where they start off optimistic and eager for the fresh opportunity, with time being the factor for negativity to set in as the opportunity becomes routine and appreciation is lost for what you have. Usually it takes an exceptionally negative person to despise their job in the first month, either that or they made a major mistake and did not do enough inquiring into the true nature of the job. Take the job as an opportunity to learn about how the structure of the organisation works and how a PMO (Programme Management Office) works. Value the benefits of the role – in it you get to network with a wide range of people, make a good first impression. Always aim to deliver the best work possible for everyone you interact with, even if it is just sending a quick response to an e-mail. Be willing to take the crap jobs. And when you do them, don’t just do them well, do it better than they imagined, smile and ask “Have you got anymore”. Find as many opportunities as possible. Research where you want to be promoted to and work towards meeting the requirements of that role. I hope that she took my advice, because the problem is the moment you start despising a job everyone notices, no matter how well you think you hide it – the contempt is reflected in your attitude and the quality of your work. It is your mind that decides if your situation is negative or positive. I hate working with overally negative people. In my experience they never see the positive in anything and have a habit of making everything surrounding them toxic. What you end up with is a team of negative people. Working for Oxfam as a volunteer you had to be a positive person to do the role. You were not being paid, so the only way you could retain staff was keeping them positive and motivated. If they weren’t that, they had no reason to work there. Sometimes they were just negative. I had no idea why they kept turning up. My predicament was that I couldn’t just get rid of these people. We needed volunteers but I didn’t want them infecting anyone else with their negativity and I certainly didn’t want their miserable face on the till dealing with customers. I stuck the negative ones in the back, where they wouldn’t be seen – they could be as negative and unenthusiastic as they wanted ironing the clothes and putting them on hangers. The positive and the cheerful worked the floor, and got rewarded as they got a wide range of tasks and enjoyed the job more. Some may criticise my management style here and yes it wasn’t the perfect solution. I could have done more to improve their moral or been an ambassador for Oxfam and told them what a great cause it was. But some people are just negative. In life you make a lot of decisions, some of them you ended up worse off – that is the risk you take. Last year I was just a dogs body in a PMO environment excepted to keep the printer topped up. Two years ago I worked for a boss who despised me and I never understood why. Three years ago I didn’t have a job . There is always someone worse off and that is how you be positive – you have to be grateful for what you have now, it may be what you are today, but it is not your future. Indeed bud! I totally understand where you’re coming from cause I’m also surrounded by lots of negative people hahah! Some people, as you’ve mentioned, are forced to be around when they don’t wish to. Hence the negative mindset. But like what you did, what I’d do is also help them realize that it doesn’t have to be a waste of time to be around. In fact, you can always make use of a negative situation and benefit from it somehow. It’s just a matter of whether they realize it and WANT to do it or not. More often than not though, what I’m sure you’ve seen often is that they are actually lazy and just outright refuse to work due to that reason alone which is sad and can be frustrating at times lol. Though as frustrating as it is to work with negative people (Naturally, they have their reasons to be like this, we can’t forget that), sometimes it’s awesome when they sudden turn around and start making things happen positively, don’t you think? 😉 Perhaps you’ve got a story on this to share bud? I quite like your idea of challenging the negativity of a person. In a way you have put me in a positive mindset for dealing with negative people! Regarding a positive turnaround story – I could probably talk about my own life (something for my next writing?). Thinking of others? I would have to have a think if I have known anyone do a turn around and become positive. And again – much thanks for your comment! Awesome! Glad to have made a positive shift in your mind- it’s what I set out to do in this world and hence my blog/site and podcast lol! Cause I’m always out to learn about new stories and case studies to help widen my knowledge to share with my friends and the community so I wouldn’t want to miss it! So again, after you post it, and I don’t respond to it via my feed on WP? For the love of God and other almighty beings, email me lol! We should collaborate sometime in future. Perhaps a podcast interview on our show or video of sorts? Thanks, will do. Have noted down your e-mail and will make sure to check out your podcast! Awesome, looking forward to your comments! 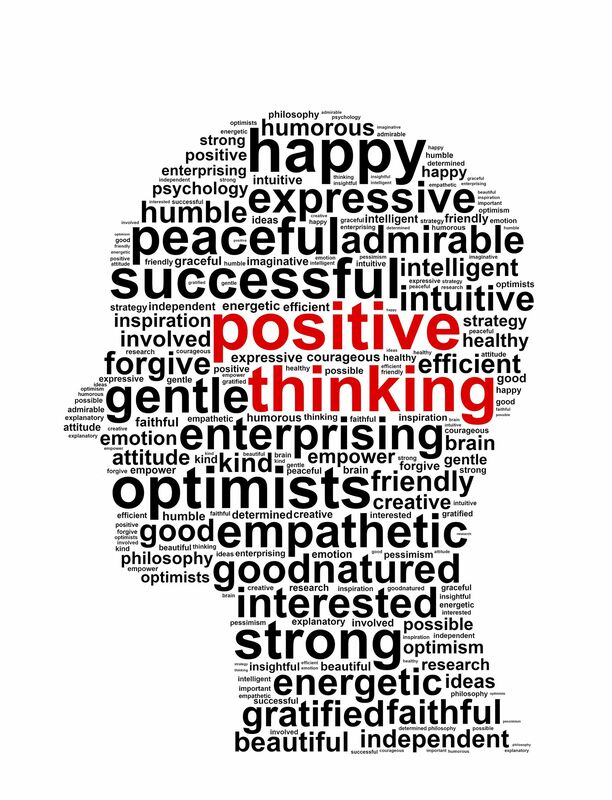 When I see a good article about Negative/Positive Mindset, I know I have to share it lol! Any thoughts from you? Benjamin, Great post, agree with your advise. One must always make the most of what you have. You are a well balanced young man. PMO – I have done many job as part of a project. I am a business analyst – on a bit of break. I use to be a programmer. I just love projects, back office system, finding business solutions, creating system – love it.. from degree to career. I think some people want money for nothing. I have even done charity work low paid, I have done random internships , but I have always done it full heartedly – if you don’t then what the point. Well that me, I think that the way I am, even the smallest of things I do my best. anyway I enjoyed this post immensely. I haven’t worked for some time, and it nice to read this , put me back in the world of work. Hi Bella, thanks for your comment. It is nice to hear from the perspective of someone with that project background. I am similiar to yourself – I have done a number of jobs, including voluntary work and it has helped my perspective and attitude to work and making the most of opportunties.